Office these days, is not all about work. Employers take care to make the workplace more attractive to employees. 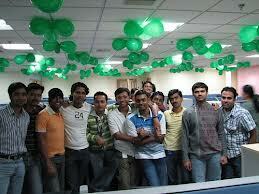 Today almost all offices, small or big, have office parties to extend the relationship between colleagues. Such parties are also great to bring about an understanding between the employees, which would make working a fun experience. Just the idea of an office party sends employees into thrills and they expect a pleasurable evening. Becoming sociable is very important in the world we live today and this is what is expected out of office parties. You can discuss anything but work for these fun sessions. However, employees please note that even when you are in a relaxed environment, try not to go over the board. Try not to act or do anything silly that you would regret later. Maintain a balance, which would offer you an amazing evening. Organizing an office party can be a really hectic task if you don’t plan well. You can now draft free online invitations using Yoovite.Com, which would greatly cut down your time on inviting everyone for the party. It is better than a common mail as the mood of the party would be conveyed better through these colorful and free online invitations. An office party definitely requires a formal invitation and the best idea would be to use Yoovite.Com. Decorations for the office party would require a great amount of creativity. It is better to cut down the costs on decorations. If you are planning a theme party, then the decorations have to be made accordingly. To make the office party lively, you will need an active host and plenty of games. The fun games like Antakshiri, Dumb Charades, Passing the Parcel, Musical Chair and Guess the Movie can liven up the ambience of the office party immensely. If you are planning a theme party, then deciding the theme is an important task and has to be mentioned in the invitation, so that the employees can dress accordingly. It is best not to be too formal as this would take the fun out of the party. Nothing should be too gaudy as well. Both the extremes would not be suitable. Your theme can be anything related to business, entertainment, sports and movies.